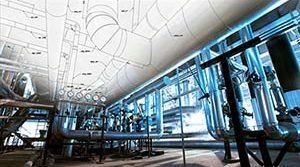 Hydraulic Snubbers Protect Critical Components In Refineries | Piping Technology & Products, Inc. 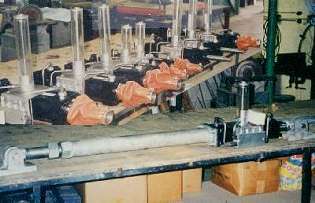 The photograph above shows hydraulic snubbers which are used to protect critical components in refineries, power plants and other industrial systems from sudden movement by the attached piping system. Engineers specify these devices for systems which are subject to sudden accelerations caused by earthquakes, extreme wind loads or water hammer. The insert at the upper left shows eight snubbers, some are different sizes and six have dust covers to protect the piston seal. The snubber at the bottom has hardware attached so it is ready to be installed. Hydraulic snubbers resist sudden rapid movement of the pipe by limiting the flow rate of the fluid inside the snubber. The device is designed so slow movement, such as would be expected during thermal expansion, has practically no resistance, but sudden rapid movement is resisted with a force proportional to the velocity raised to a power, where the power is determined by the orifice valve and flow pattern in the design. Selection of materials and liquids used will depend on the environment where the snubber is installed. 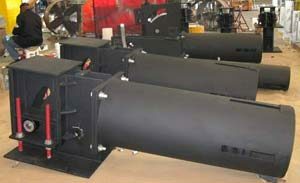 Want to learn more about hydraulic snubbers? Visit our webinar archives!